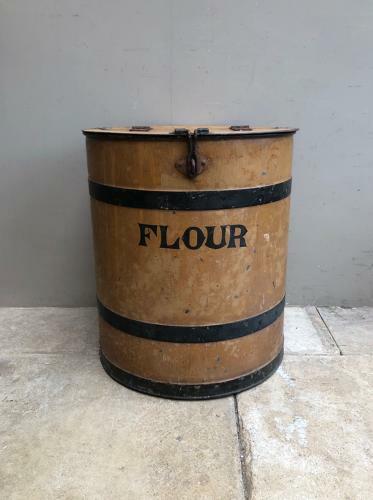 Really lovely condition Victorian Toleware FLOUR Bin...such good original condition. Fantastic paint...clear untouched FLOUR to the front. Original hinges..and a No.2 on the top. Very clean inside. I have sold these to be used as dustbins...to through wellies in and to store dog food. A great decorative piece and you really dont often find them in this condition.